A report on Nova Scotia's long-term care system says staffing levels need to be increased to deal with increasingly complex needs of people with high rates of chronic disease and dementia. 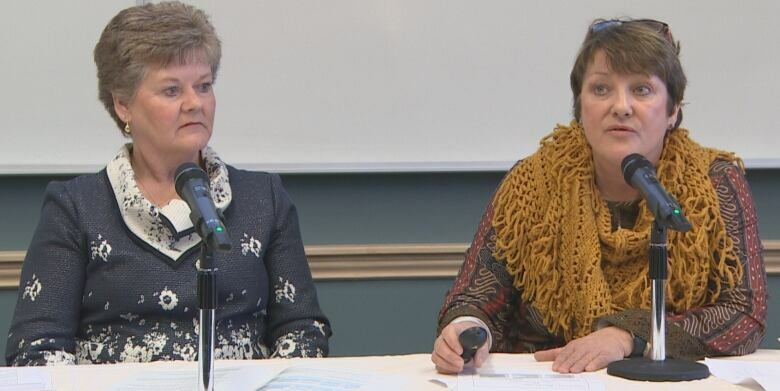 The chair of a panel looking at Nova Scotia's long-term care system says staffing levels at some homes have reached a crisis point and need to be increased to deal with increasingly complex needs for residents. Janice Keefe made the comments after the release of a report by the three-person expert panel on Tuesday. It includes five recommendations and 22 action items to be completed within the next two years. The report noted high rates of chronic disease and dementia among residents, as well as staff recruitment and retention problems, are contributing to pressures on the system. "There needs to be a much greater investment in long-term care in our province," Keefe told reporters. Nursing staff regularly work without a full complement of people, which sets the stage for a variety of problems, according to the report. It called for a short-term focus on attracting new people to the profession and making those already in the system feel valued. There is an immediate call to hire long-term care assistants and a full-time licensed practical nurse for each site. The report said efforts to increase staff should include using more nurse practitioners and other providers such as occupational therapists and physiotherapists to improve care. "So when you look at adding allied health to the system, it's actually helping focus on the care that the resident would get on a regular basis," said Cheryl Smith, a nurse practitioner and member of the panel. The panel was appointed in the months following the death of Chrissy Dunnington, who died in March after developing a severe infection related to a huge bone-deep bedsore on her backside. The panel endorsed and recommended "full implementation of the Nova Scotia Long-Term Care Pressure Injury Prevention Strategy," which was introduced last year. Keefe said recommendations such as increased staffing levels, and regional hubs of experts that smaller homes could tap into as needed, should all help improve bedsore care and prevent things from reaching such dire stages. The panel also recommended increased training for continuing-care assistants and 24/7 access to primary care for residents. The report also called for an update of the Homes for Special Care Act, which hasn't seen an update in 30 years. The three-person panel was made up of Keefe, Smith and Dr. Greg Archibald, a family doctor, wound-care expert and Dalhousie University professor. The province tasked them with looking at proper bedsore care, patient and worker safety, and the appropriate care and protection of vulnerable people. They were not responsible for considering the number of long-term care beds in the province. While bed numbers weren't a part of the panel's mandate, Keefe said it's important "to fix what we have in the system right now before we go down a pathway of adding beds without staff to be able to work in those facitilies. We have to improve our system right now in order to be able to attract workers to this sector." Keefe called the report a first step and said it would be up to government to take it from here. The recommendations are not costed, as that was not part of the panel's mandate, however Smith said the recommendations "implicity have funding attached." The province has pledged to act on all the panel's recommendations. It will be working with the Nova Scotia Health Authority, the long-term care sector and partners to implement them, according to a news release. The government said it is already working on some of the issues highlighted in the report, including developing a vacancy survey, taking steps toward registering continuing-care assistants, and improving access to occupational therapists, physiotherapists and nurse practioners. Health Minister Randy Delorey was not in Halifax for the report's release. The minister was in his constituency of Antigonish for a local announcement. In a phone interview, Delorey said he believed following the steps would result in noticable improvements over the two years. "As we proceed, if we see that we need to make adjustments to make further improvements, we're continually looking for ways to do so." The minister said increased spending on home care has demonstrated the government's commitment to continuing care and now they'll turn their attention to long-term care. He said he'd be looking for "the necessary resources" to make changes. The report didn't go far enough for some people. The Nova Scotia Nurses Union called it a "missed opportunity" to reform the system and recommend minimum staff levels. 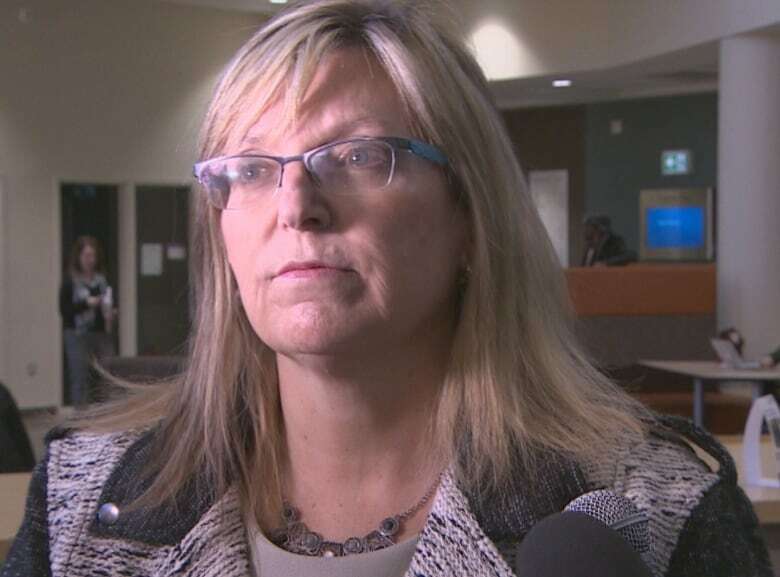 In a release, president Janet Hazelton said recommendations around staffing levels, workload and workplace violence would have helped recruit and retain staff. Gary MacLeod, chair for the Advocates for the Care of the Elderly, said the lack of a mandate to consider the number of beds or funding amounts to "babysteps on a long run to improvement." He said he's heard many meetings and presentations on how to fix long-term care in the last decade, but he's seen little improvement in the system during that time. He stressed the need for more long-term care beds and more regular, direct care for residents. "My own mother, she experienced bedsores and it wasn't because she was bedridden or in a wheelchair, it was because she wasn't being bathed properly," he said. 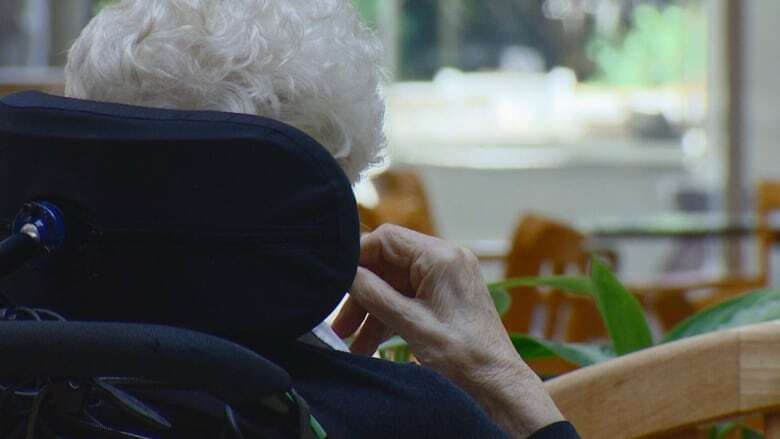 Barb Adams, the Tory critic for long-term care and a physiotherapist, said all of the recommendations have been talked about "for more than a decade." "The homecare workers and the health-care workers in those facilities could have told you all of this 10 years ago. The problem is that you need the funding in order to enact these things." The lack of clear numbers for staff need, time spent with patients and demand is problematic, said Adams. NDP Leader Gary Burrill said the report "amplifies and underlines" what families, residents, staff and administrators have been saying for some time — in order to fix the situation there needs to be serious increases in staff. Burrill said an easy solution would be legislated ratios of levels of care that people can expect when they move into homes of care. While he commended the panel for noting the ratios aren't good enough, Burrill said he was disappointed a number wasn't suggested. "We do have a lot of research about this subject." Norma Silverstein, whose father died from septic shock last year after he developed severe bedsores while living at Harbourstone Enhanced Care in Sydney, said she was pleased with the report. Silverstein said the report has a number recommendations that could prevent serious ulcers and wounds. "It made me feel grateful that we came forward and disclosed what happened to us in the first place," Silverstein said. Elizabeth Deveau said she is encouraged by the report for the most part. Deveau's 40-year-old sister, Chrissy Dunnington, died as a result of complications from an untreated pressure ulcer she developed at the Shannex-owned Parkstone Enhanced Care in Halifax in 2016, according to her family. Deveau said calls for improved training and a special space for young adults are steps in the right direction, but said she's disappointed the report doesn't include the creation of an independant arm for investigations or fines for repeated offences. "We can't change what happened to our sister, but with our involvement and staying on top of it and pushing for change, it is our hope that we can help move change forward for other people for the future," Deveau said. Since being appointed in September, members of the advisory panel met with 375 people and organizations, including residents of long-term care facilities, their families, the people who work providing care, their union, administrators and others who have a stake in the group's work. Initially they were supposed to report back by Nov. 30, but they received a three-week extension, in part due to the volume of feedback they received. The panel called for an arm's length committee to monitor the government's efforts to put the recommendations into action.